Natural Elegance and Thoughtful Amenities in the Ultimate Colorado Luxury Community – Custom Home Lots in Castle Pines Village Now Available. Castle Pines Village is Colorado’s premier gated master-planned community, offering natural elegance and thoughtful amenities. 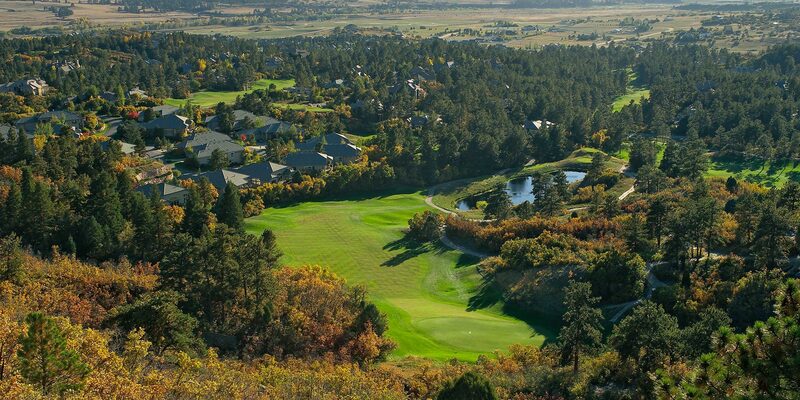 Castle Pines Village all started with a love of golf and the land. Over four decades ago, Jack A. Vickers looked over the landscape that would become Castle Pines Golf Club, the host of the International PGA Tour from 1986 to 2006. The land was purchased in the late 1970s, and the Jack Nicklaus signature course was completed over the following decade. In 1981, a 3,000-acre gated master planned community was born. The Castle Pines Village community was created with a commitment to careful planning and deep respect for wildlife and the natural environment. Experience the best of Colorado at your doorstep. Castle Pines Village provides a lifestyle that is exclusively Colorado, offering community, convenience and amenities in a stunning, natural setting. Discover why this area consistently tops the charts as America’s best place to live. Our clear blue skies, 300 days of sunshine and panoramic mountain views make for a lifestyle unlike any other. In Castle Pines Village, residents find themselves surrounded by Ponderosa Pine forests, picturesque green pastures, Rocky Mountain views, dramatic sandstone cliffs and abundant wildflowers. Build your dream home on one of the last remaining lots in Castle Pines Village. This new development allows for a unique opportunity that won’t be around for long. Imagine waking up to the scenic beauty of Colorado, while enjoying the amenities of a planned community. Priced from $395,000, these estate sites allow you and your family to customize the perfect home to fit your specific needs and lifestyle. With easy access to world-class golf courses, playgrounds and regularly scheduled social events, it’s easy to see why our residents choose to call Castle Pines Village home.